I feel a bit guilty…publishing posts from elsewhere on the globe, when my own country offers its visitors a wealth of history and breathtaking natural scenery. 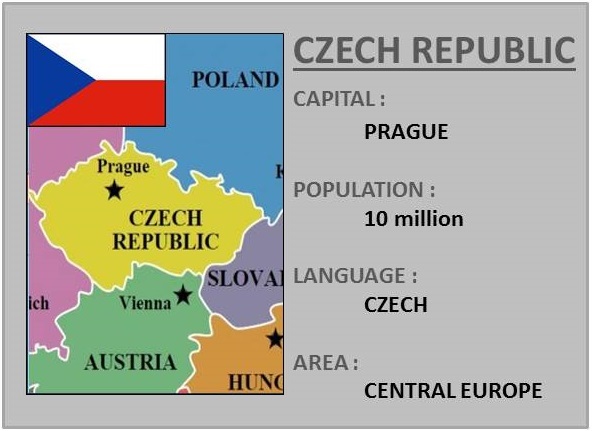 You would be forgiven for thinking that the Czech Republic is only Prague, and you would be amazed by what other wonders we have to offer. Picture perfect Cesky Krumlov, ecclesiastical Olomouc, or the home of the best beer in the world … the City of Pilsen. Not to mention the amazing natural landscapes. Let me introduce you to a place, which looks so fantastic, you won’t believe it is real and will make you feel like being “The Third Prince“… a character in one of the most famous Czech fairy tales, the movie of which was shot at this location. Squeeze through naturally formed gorges, and let your imagination run wild when looking at the various shapes created by the rocks. They all have funny names, see if you can identify each by their given name. A magical journey through towering rock formations. The rocks have been protected as a national nature reserve since 1933, and since 1991 the whole adjacent region of Broumovsko has enjoyed the status of protected landscape area. Tourists may visit the rocks via a number of marked trails. The area is a popular destination for rock climbers too. The reserve is also one of the largest permanent breeding sites of peregrine falcon in Europe. I haven’t seen any myself but the blue sky perfectly made-up for it. Rent a boat and enjoy the balmy summer, escape from the reality. I am sure the winter transforms the area into a sparkling white wonderland, but I personally recommend summer. Anytime between June -September should be perfect.